After a hard day at work, after sport or simply to get the right start to the day, both body and soul demand revitalisation and relaxation. And where better to find this than in a shower that not only cleans the body but also refreshes the mind – enabling us to really unwind. 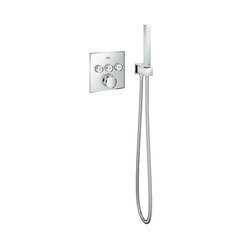 Precisely for this purpose GROHE has re-invented this dimension of showering in the form of a sophisticated product that gives us full control over all its aspects. 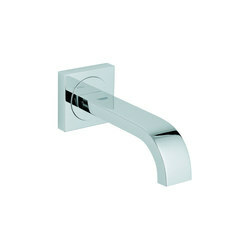 GROHE's Euphoria SmartControl breaks new ground in terms of all-round well-being in the bathroom. 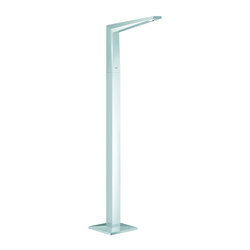 The system represents sophisticated sanitary technology, packaged in an immaculately beautiful, slim design. 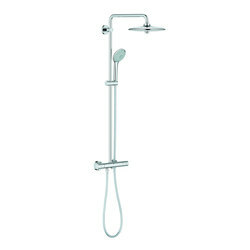 Its smart operation featuring a deliberately simple push and turn knob - based entirely on the intuitive "push, turn, shower" principle - allows you to experience and relish the multi-jet head shower technology to the full. Operation is child's play, thanks to GROHE's EasyLogic concept with its self-explanatory pictograms. 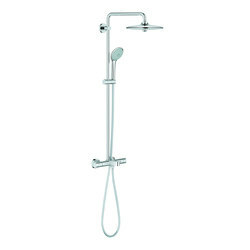 There are no complications even with the choice of shower jet, and you can chill out completely. There's a wide choice depending on your wishes and mood, ranging from vitalising high pressure to a gentle caress. In addition to the type of jet, by means of the GROHTHERM thermostat the controls also regulate the quantity of water and its temperature. 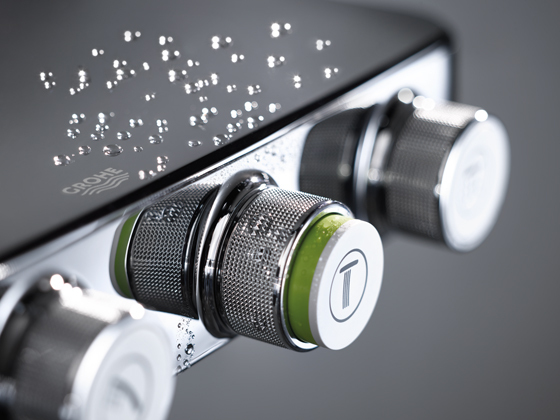 The accessible arrangement of the controls ensures both relaxing operation and flexibility: the Euphoria hand shower or the Euphoria Cube Stick are operated using the first button and provide an entirely new kind of shower experience. 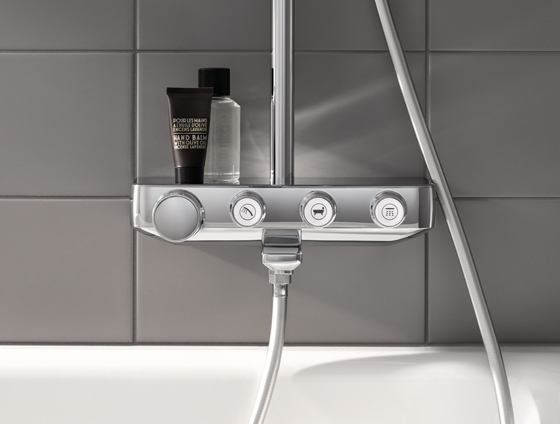 The other two buttons regulate the different jets of the overhead shower, with the middle one unleashing the new ActiveRain - a powerful jet for washing the hair or for an invigorating massage. 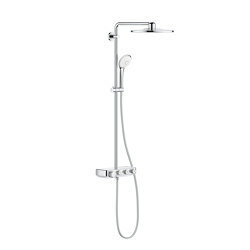 The third button is all about relaxation and controls the gentle PureRain jet, which is simply intended for enjoyment. 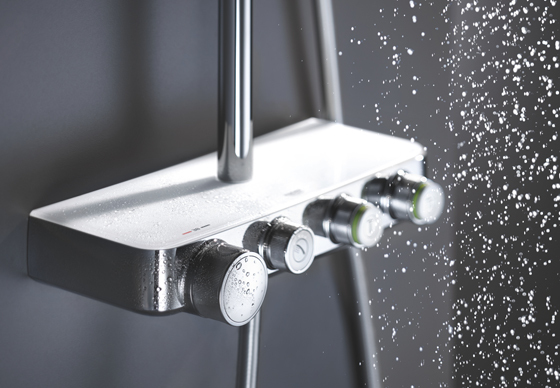 Those who opt for the multi-jet Euphoria 260 as an alternative to the Rainshower 310 SmartActive head shower have the option of choosing between three jet types directly on the shower head. 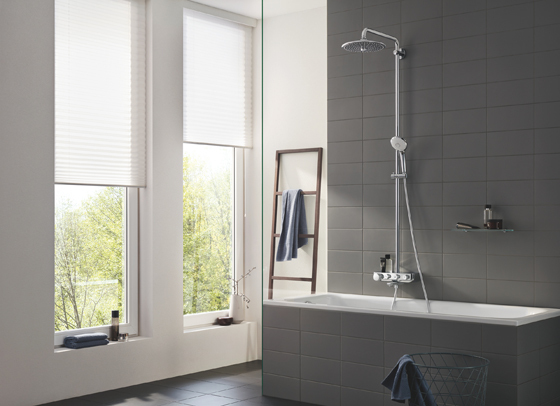 This functions with an innovative central button that vitalises you with SmartRain, kisses you awake with its jet stream and makes you feel great with its full-body rainshower. However, the GROHE Euphoria SmartControl system is not only a concept which makes showering in different intensities a first-hand experience, it also knows how to manage our precious water supplies. The system stores all settings until the user actively changes them. 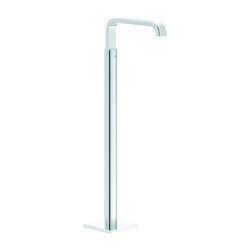 In addition, particular attention is paid to safety: thanks to the GROHE CoolTouch technology, the chrome surface of the control element never gets too hot. The GROHTERM SmartControl thermostat with its GROHE TurboStat technology ensures maximum precision in temperature regulation. Fitting the system, too, is entirely straightforward. 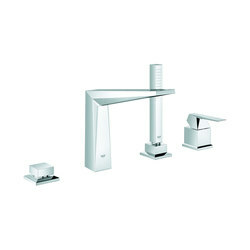 Both models can be easily mounted and individually adapted to the upper wall bracket, while ensuring that the arm of the showerhead can swivel through 180°. GROHE Euphoria SmartControl makes an impact not only with its "inner" values – it's also great to look at. The dimensions are even smaller than those of existing surface-mounted solutions with SmartControl. The fascination of the slim design with its clean-lined contours lies in the fact that so much technology has been packed into the trimmed-down dimensions. 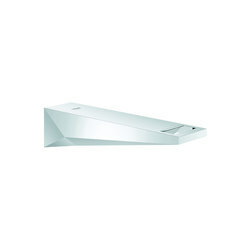 All that remains is the problem of choosing between the round or square version, and with what surface finish: chrome or acrylic glass in Moon White. 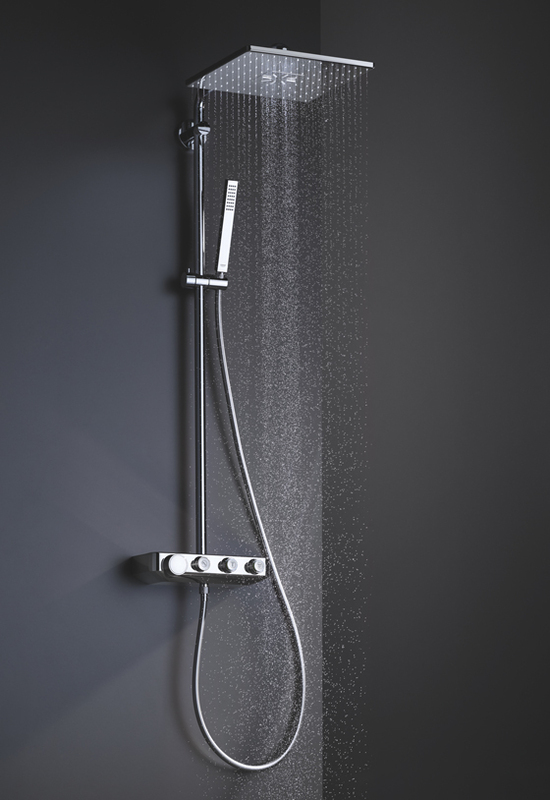 The showerhead is available in both versions - a further component of the new versatility offered by this innovative shower system. 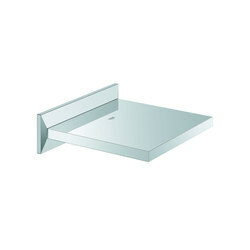 The design ensemble is rounded off by the GROHE EasyReach shower tray. The GROHE Euphoria SmartControl system is a complete package, generating more vitality to deal with the demands of the day. Your new energy for life begins in the shower thanks to relaxed muscles, refreshed perceptions and a radiant appearance.